Police have arrested twelve persons in the Eastern Region for allegedly engaging in cybercrime activities. The police retrieved ten laptops, some mobile phones, wifi routers, USB drives among others in the raid. They have been identified as Affamey Godstime, 23; Sunday Mawis, 21; Paul Mark, 24; Francis Owen, 27; David Orobose, 18; Irobor Gershon, 26; Felix Omoregbe, 28; Courage Mathew, 24; Hussein Abdullai, 24; Olojon Promise, 20; Cyril Joe, 21 and Victor Berry, 23. Police in March 2018 arrested 22 Nigerians for allegedly engaging in cybercrime. 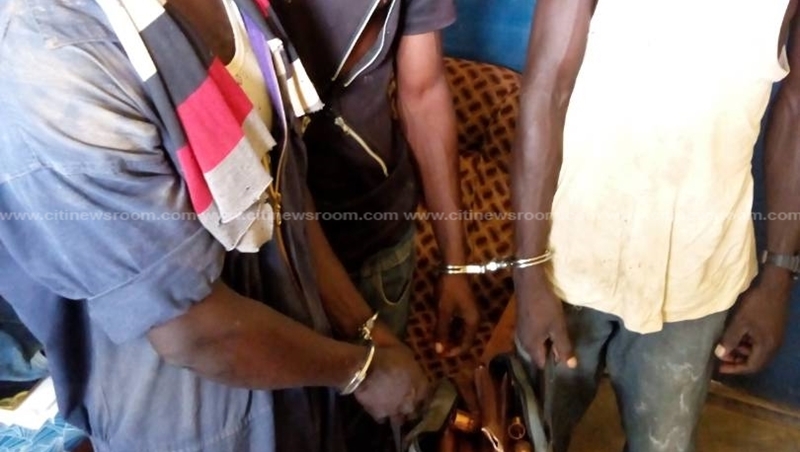 According to the police a Ghanaian taxi driver, believed to be an accomplice, was also arrested in a raid at Oyarifa in Accra where the suspects were nabbed. Within the same month in 2018, 10 Nigerian nationals were also arrested by the Madina Divisional Police Command for suspected cyber fraud.